IBM Cloud file storage leads the industry in performance cost ratios, security and versatility. And now you can try a volume with your current projects. For a limited time, get 1 TB of file storage endurance tiers at .25, 2, 4 or 10 IOPS with 1 TB of snapshot space. Work for IBM Cloud File Storage? Learning about IBM Cloud File Storage? "A Secure Way for Storing your Data "
I usually this product in storing both my personal and official files. I believe IBM has the best way for protecting my files from hackers. Initially,I was using another product that once leaked my documents. I like how the developers keep on updating this software to give me the most advanced features. They have a good customer service who reply to my immediately. The memory size is not big enough to store all of my datas. Sometimes it is hard to understand each and every feature that comes with this software more so if you are a beginner. All of my data are stored securely allowing me to engage in other activities without worries. It provide a space for storing my files in cloud,which has saved me a lot of cash in buying papers to write down company's minutes. This offers a good amount of storage as a backup or even as a storage service. The data transfer rates are also good. There is nothing much to dislike as it does the work of any cloud storage as it should. Keeping the data of my clients and customers with me in the hard disk is not safe as the data can be breached or even lost which can cause a great loss to my company and can make my customers lose trust in my company, but IBM cloud storage facility helps my company with this storage facility @ a low price compared to others. What Cloud File Storage solution do you use? "What I need when I need it"
Easy accessibility from anywhere, extendable to all users of my company. It depends on an external third party for the storage of the information that I keep from my company. So security is your responsibility and I can only trust them. Ease, usability, great storage for a derisory cost. Presents packages for different needs. Using this Cloud tool I have been able to forget the tedious task of periodically saving my files, now I just have to drag and save online in the cloud. "Cloud Storage made Secure & Simple "
The best part about IBM cloud file storage is the Transport layer security. It not only gives you protection on the cloud servers but also the complete communication channel is encrypted using different algorithms. Since security of our sensitive data is our top priority, it has greatly helped in that direction. The flexibility to access the file from anywhere and the transfer rates are up to industry leaders standards in this field. Dislikes aren't too many, but I'll like to see a new user interface soon on the virtual machine. The documentation needs to be more on the advanced options and features it presents you with. Well the biggest plus point has been the ability to store data in a secure environment and available anywhere anytime your fingertips with few presses of a button. We have been able to save money on buying physical servers and resources for their maintenance. "Security in the storage of documents"
Encryption of access to the information hosted on the servers of this tool is very secure. The encryption is done from the introduction of the main password to access as well as in the files that I have stored in the folders. Therefore, they can not access my information at any time since only I can access it. The encryption of my files in the cloud is done locally and en route adding a great security in the treatment of my information. Although it has navigation plugins for the main browsers I have to admit that it is less able to integrate them with the ones I usually use since these are not compatible, so integration is scarce. On the other hand the application to use with Blackberry often presents a bug that makes access to the information in my files is not as fast as it should. Good option for storage in the cloud, especially for those companies that security is one of their biggest concerns since it is an encryption tool from end to end very secure that presents a confidentiality that many of its competitors do not have. The package contracted by my company has added a great improvement in both the bandwidth and the management of the documents with which I work daily. The use is quite simple and it is not necessary a previous learning since the access to the folders and if interaction with them is very simple to work. "Support for saving multiple files"
From my point of view the most relevant thing about this software is the ability to perform the maintenance of my backup copies in a secure environment. Data migration is very efficient, fast and easy to perform as well as the automation of digital processes. I send and share my files in a synchronized way in a safe and reliable way at high speed through the network in a very safe and reliable way. The virtual desktop infrastructure is really improvable, the interface it has is a bit old-fashioned and the main commands are not very well defined, so executing the functions of making it a bit difficult. The migration to SaaS is also improvable although in general terms it has no difficulties. Good product, has multiple options I recommend this leg the storage of backup copies. As well as its restoration and customization of applications all at a somewhat higher price. The experience I have had in my company has been very good, it is a data maintenance service hired in block to have our best kept and safe files. The security incorporated in the applications through the monitoring tools has been excellent and it shows that there is a very good work team behind it. This service is easy to use and upload material and i love everything about it. The way the service operates makes it easier than any other cloud service out there and i highly respect the developers who made it possible because its been a life saver for me at least as well as my company and i hope others can find out how amazing it can be for them as well as their employees! I recommend this product if you plan on making it easier for you and your staff to be able to better facility your needs! Its better than other cloud services like Google because its a simplistic design and makes it easier to upload documents in an instant which is important for companies. It made it faster for us to be able to get files to each other while we were on the go in a quick and simple fashion that now a days is a much needed blessing especially with the work that we do! 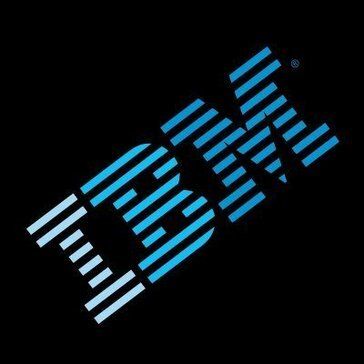 "Durable, fast and flexible file storage from IBM"
I like the flexible configuration of this solution and total cost, that is lower comparing to some competitors on the market. Sometimes there are delays of synchronization of files and the biggest negative thing is complicated pricing model and setup of environment. Usability and accessibility of files in the company, backup plan in case of any emergency. UI design and accessibility. Access to Redbooks, MongoDB, Angular JS, and Node JS in catalogs located in libraries for intended Redbook usage. Cloud Database access allows for UX experience. Numerous Web access entries in terms of home pages for IBM integrated features. UX experience and UI design with loose html script. "Secure storage in the cloud"
One of the things I love about this service is how user-friendly it is to backup data in the workplace and sync them easily. With security being our main concern while backing up data in the cloud, this service offers good encryption. Haven't found anything so far as to dislike it. "Stores everything just the way I need it to!" I like that this software has storing capabilities for all of our pertinent information. It is so important for me to have everything stored and this helps me so much. I wish the customer support was a little better, sometimes it takes a while to get an accurate response. Storing information. The benefits are no more looking for items in 20 different places. "This cloud program has been perfect for saving our business information." I love that we never have to worry about our files being lost if something happens to one or all of our computer software. Sometimes you have to manually sync the files you want to save to the cloud when the internet has disconnected. Not having to worry about saving our files. They are automatically synced for us everytime. * We monitor all IBM Cloud File Storage reviews to prevent fraudulent reviews and keep review quality high. We do not post reviews by company employees or direct competitors. Validated reviews require the user to submit a screenshot of the product containing their user ID, in order to verify a user is an actual user of the product. Hi there! Are you looking to implement a solution like IBM Cloud File Storage?